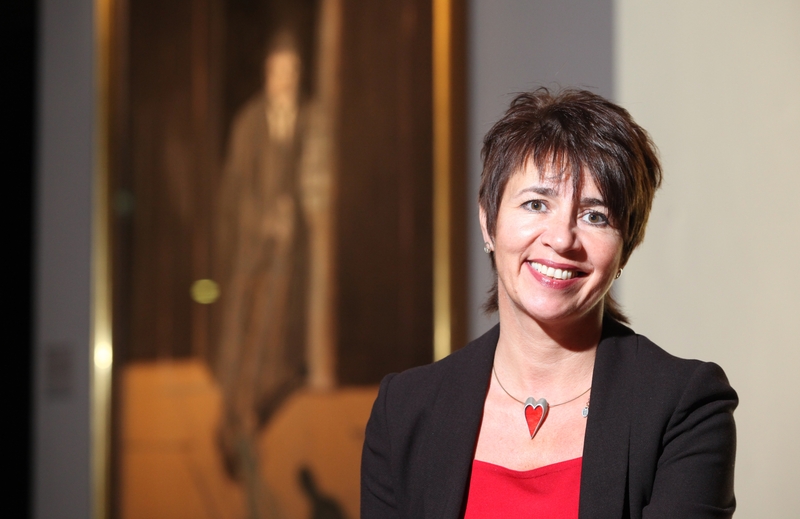 In this week’s contribution to our regular series introducing MedHumLab members, Wendy Gallagher, Arts & Health Partnership Manager at The Whitworth and Manchester Museum, talks about all things ‘museums, health and wellbeing’. What does your role as Arts & Health Partnership Manager at The Whitworth and Manchester Museum entail? Can you describe what ‘a typical day at the office’ looks like for you? My working days are always varied as I work in museum and gallery, clinical and community settings at local, regional, national and international levels. Can you tell us a bit more about the Health & Culture partnership between Whitworth Art Gallery, Manchester Museum, Manchester Art Gallery and Central Manchester University Hospitals NHS Foundation Trust? What kinds of events and initiatives does it support? The partnership began in earnest in 2008, with a regional research programme of arts and health activities called Who Cares? Museums, health and wellbeing. We have a long and successful history of working with local communities, such as users of community centres in surrounding wards, older people in residential and care homes, and adults with mental health problems. We provide activities and events for all ages from Parents to Be to Coffee, Cake & Culture: a programme for people living with dementia and their carers. ArtMED is a collaborative programme between the Faculty of Biology, Medicine and Health, the Faculty of Humanities, the Whitworth Art Gallery and Manchester Museum. The programme involves students and professionals from medical and healthcare backgrounds visiting the museums in small groups to explore works of art and objects in relation to areas of their curriculum or professional specialisms. They also undertake object based lectures in relation to biomedical research, ethics, law and human rights. The ArtMED programme encourages the development of visual literacy for a group of students and professionals whose observational skills will be essential in their future medical and nursing careers. At a deeper level, a visit to the Museum broadens their awareness of the value of culture, enriching their understanding of the world in which we live. The visit demystifies the Museum and affirms the potential for arts and heritage to intersect with the medical world. ‘Museums and wellbeing’ seems to be a burgeoning field of engagement and research. How does your work fit within this wider context? Arts for health programmes and initiatives are being rolled out in museums and galleries in a number of countries, with networks and partnerships developing between museums and galleries and the health care sector. As we continue to strive to improve access to our collections and provide programmes that promote wellbeing through engagement, evidence is beginning to emerge of the benefits that participation in cultural activities can have for people’s health, wellbeing and quality of life. We know that museums and art galleries are full of objects and artworks of historical, social and personal significance and have developed programmes and resources to engage a wide range of audiences who may not traditionally have visited us. In 2012 the Whitworth Art Gallery and Manchester Museum were recognised by the Royal Society for Public Health with two awards for outstanding and innovative contributions to arts and health research and practice. How would you define the term ‘medical humanities’? I would define the medical humanities very loosely as the use of arts and humanities within the medical curriculum. And finally, how do you relax and unwind away from the office? I’m learning to play the guitar, and I spend a lot of my free time socialising and travelling with friends. I also like long walks with my border terrier and regular glasses of good red wine.